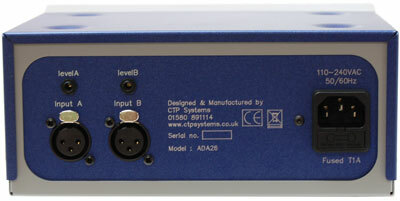 Two * six output distribution amplifiers in 1RU. This DA unit has active inputs and outputs on XLR . Connections may be connected balanced or unbalanced. The front panel has two multiturn screwdriver preset controls for level adjustment. Each output is individually buffered and dc decoupled. Dimensions: 1RU rackmount 150mm deep. 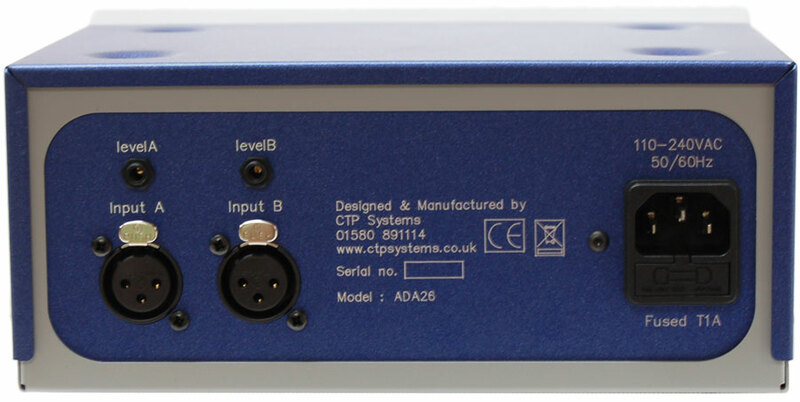 The ADA26 is a portable mains powered dual distribution amplifier containing 2 * 1:6 DAs. 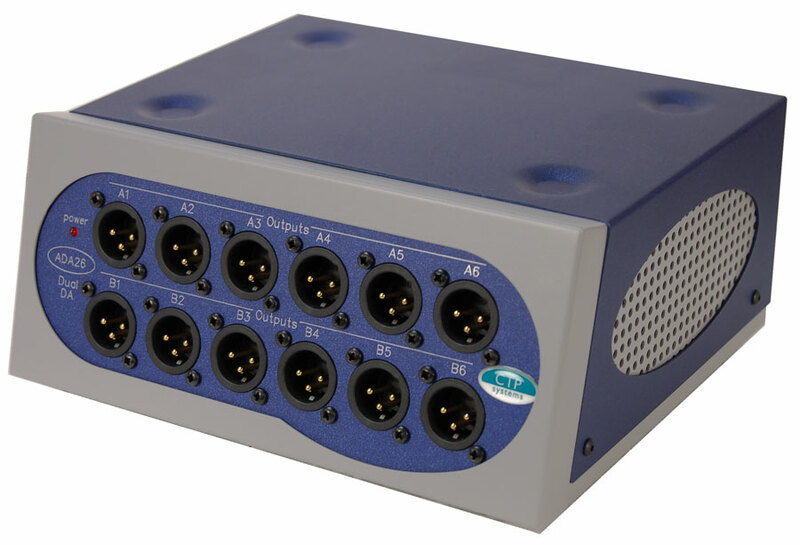 This unit has active inputs and outputs. Connections may be balanced or unbalanced. The rear has an IEC connector for the fused mains input and two multiturn screwdriver preset controls for level adjustment.